For medical and recreational purposes Marijuana has been made legal in many states that include Alaska, California, Colorado, Massachusetts, Maine, Michigan, Montana, Nevada, Oregon, Pennsylvania and Washington. There are many concerns while growing Marijuana, stealth, temperature, humidity and convenience as well. 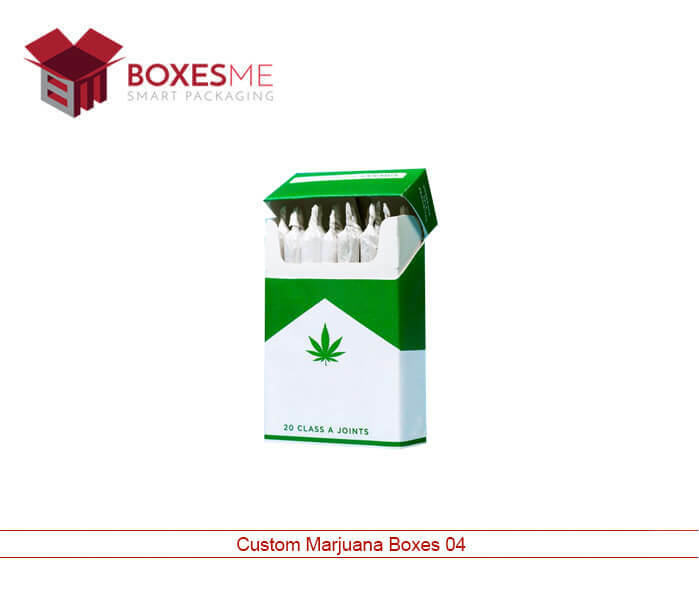 But when it comes to selling, custom Marijuana boxes plays an important role as they can be made to order in any shape and style according to the requirement. 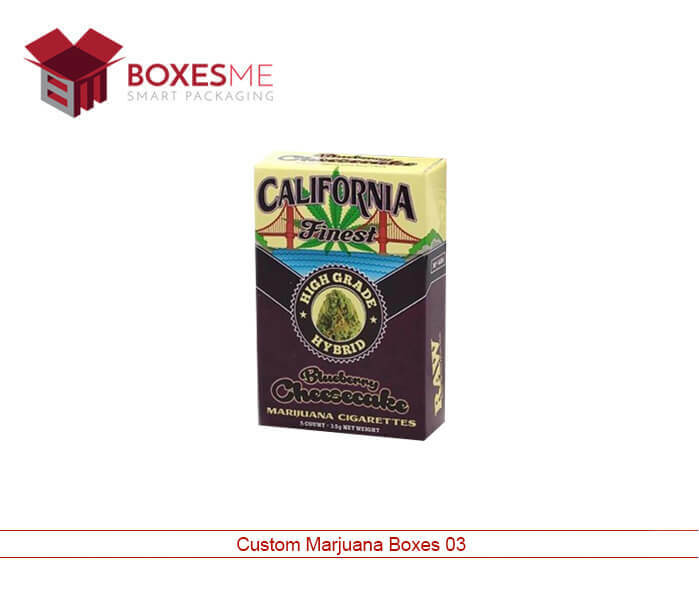 Marijuana boxes protect the quality of the cannabis products and used to display and send Marijuana to the subscribers. These boxes protect the moisture from entering the box and preserve the freshness for a long time. Why Marijuana is Legal in the Florida? As there are so many medical and health benefits of Marijuana that is why they are made legal in many states of USA. Marijuana boxes wholesale can carry any amount of Marijuana easily and will allow you to increase your sales. They can be printed in any color and printing designs to make them look interesting to the customer. To educate the customers about the product, Marijuana wholesale boxes can be made informative by printing it with ingredients and THC concentration of the product. BoxesMe use offset and digital printing equipment that adds value to your product. You can also add multiple finishing options on the boxes such as spot UV, foiling, aqueous coating and many others. 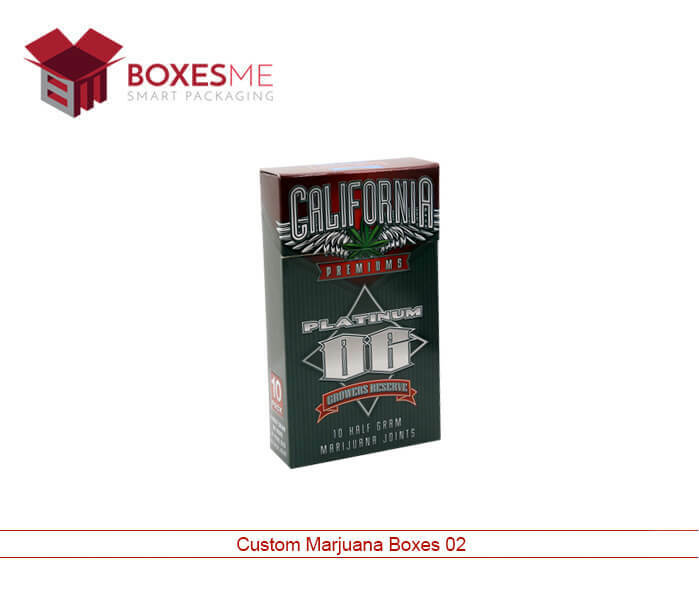 Even your logo can be printed on the custom marijuana boxes to promote the product and company at the same time. 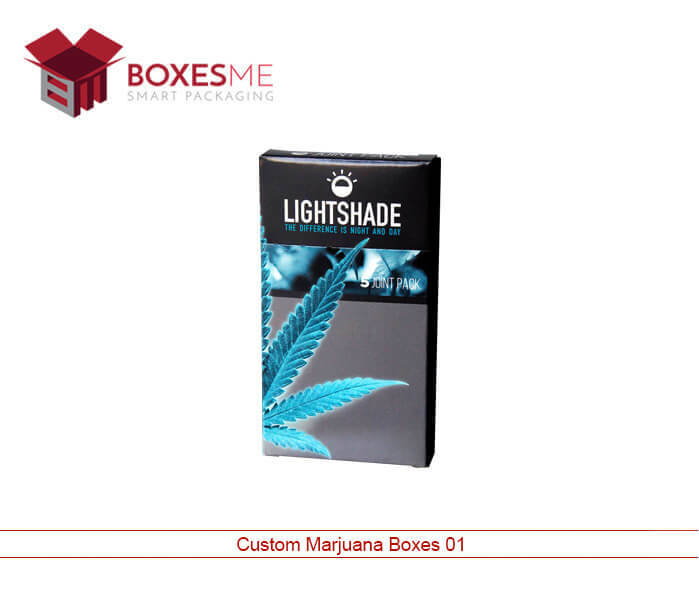 Marijuana boxes in USA are perfectly designed by BoxesMe to fulfill your packaging needs. The expert designers provide you sample designs through which you can take the idea for the final structure and shape of the Marijuana boxes wholesale. After your approval, the manufacturing of the boxes will start and you will get your desired boxes in minimum turnaround time. Your custom seed boxes can be made in any shape, style and designs so that the product appeal can be enhanced. The attractive packaging urges the buyers to pick your Marijuana products and ultimately enhance the sales of the manufacturers.